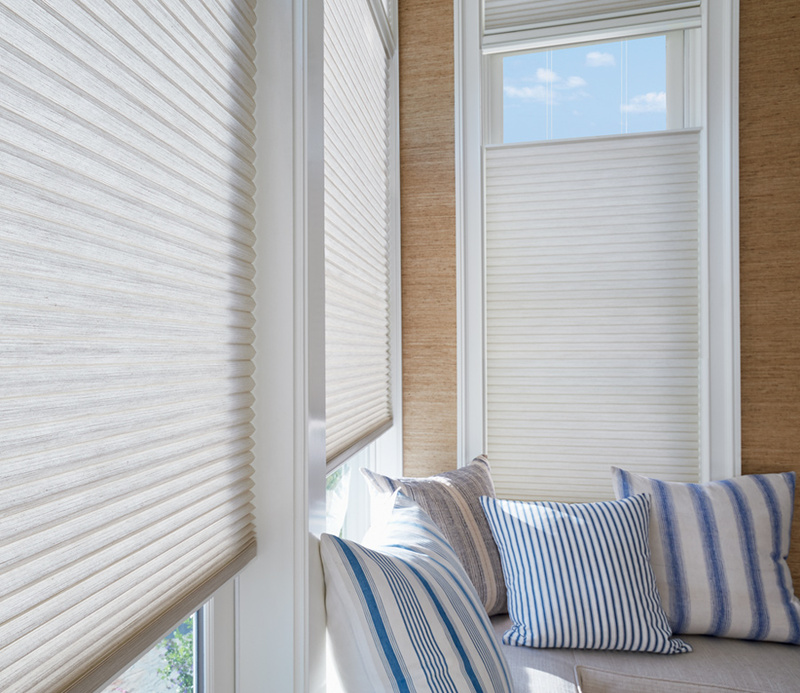 Well-loved for their incredible function and the chic design of their uniform pleats, duette honeycomb shades upgrade the comfort and style of your home. 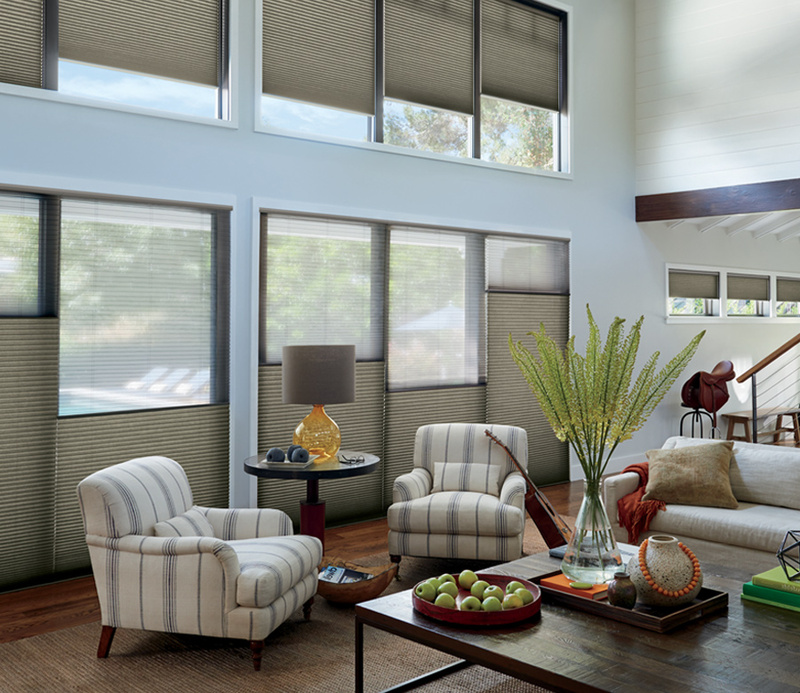 The cellular structure makes honeycomb shades one of the best insulated shades in the industry. 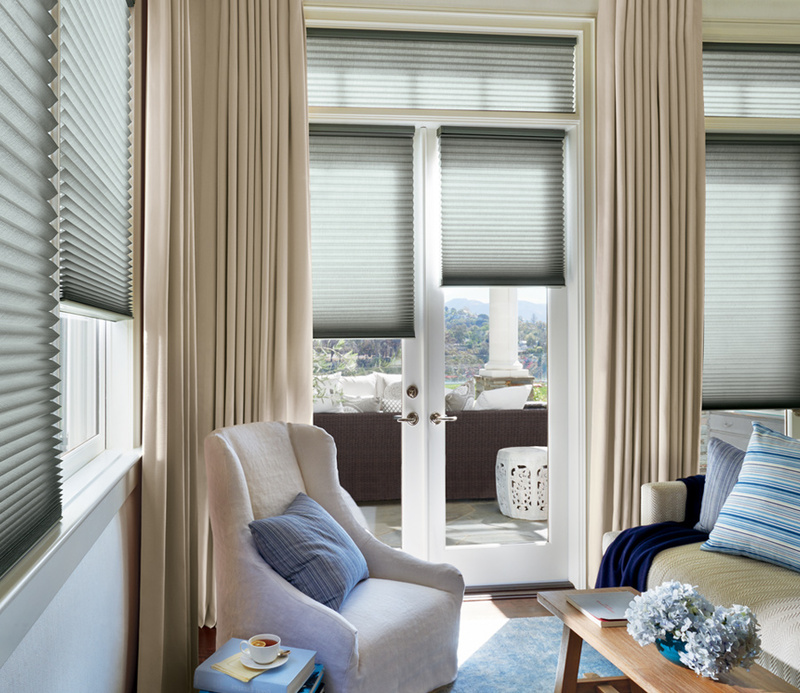 And now, beautiful fabrics and textures offer exquisite style. 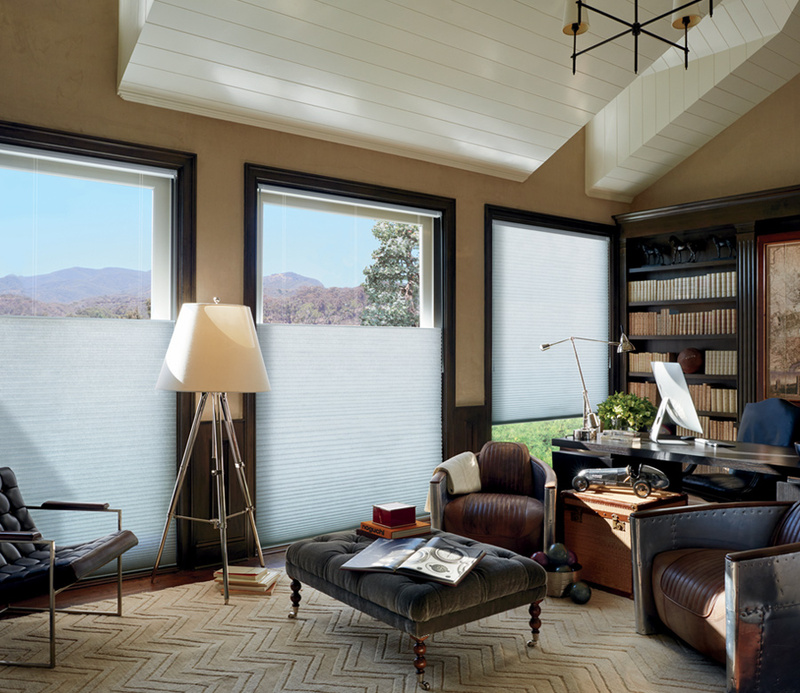 With top down bottom up, you can protect most of your window while still bringing in plenty of natural light across the ceiling. 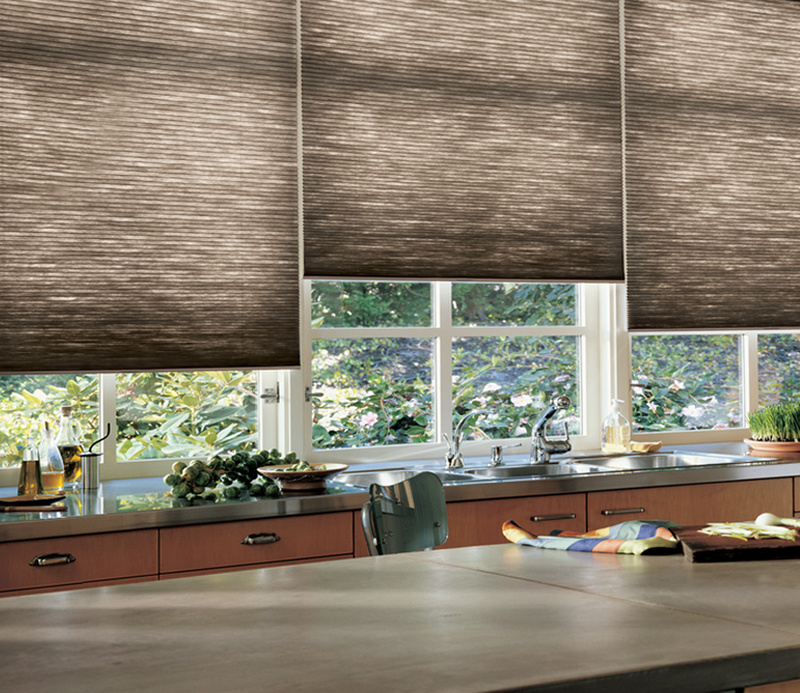 And, our Duette shades are a top choice when you want the best skylight shades.